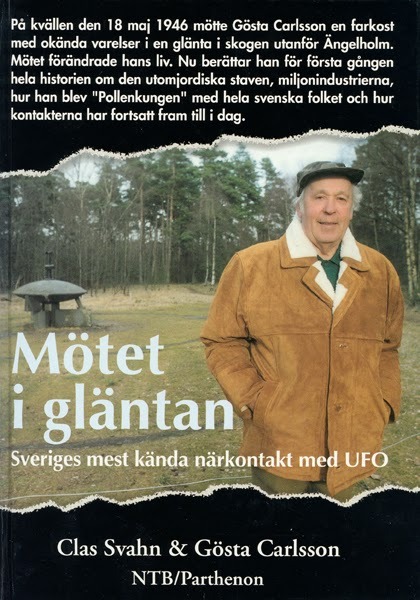 This weekend Clas Svahn, former chairman of UFO-Sweden, presented his latest book at the Göteborg Book Fair: UFO: Spökraketer, ljusglober och utomjordingar (UFO: Ghost Rockets, Globes and Extraterrestrials). It has already received favourable comments in several national media and is in my estimation one of the best and most thoroughly documented UFO books written in Sweden - destined to become a classic in the UFO and Fortean genre. 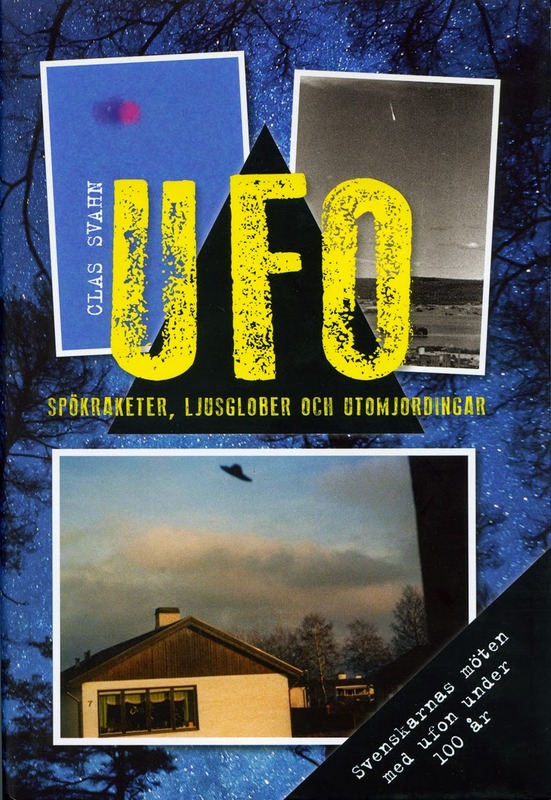 Clas Svahn presents around fifty Swedish UFO cases, the most intriguing and unexplained UFO encounters, from 1922 until 2011. Almost all of them personally investigated and documented by Clas himself, often with several follow up interviews. Here we find the Swedish Ghost Rockets, close encounters with several witnesses, observations by military pilots, humanoid and abduction narratives. 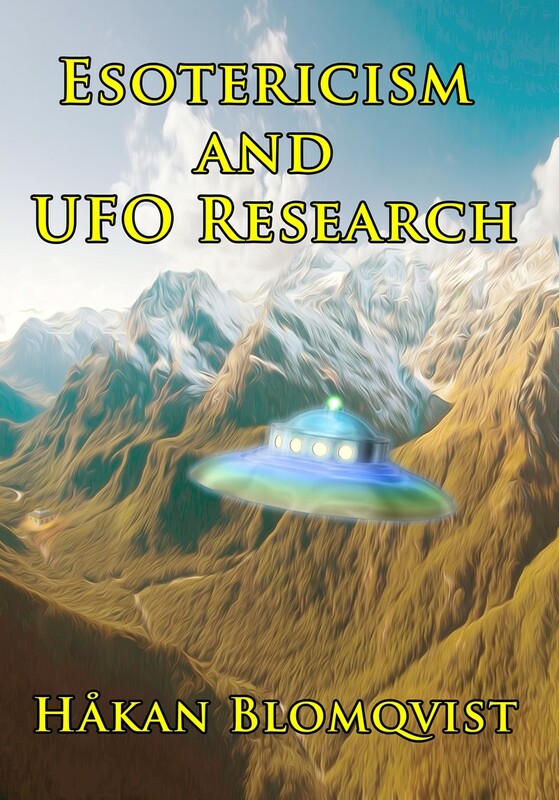 The book is a strong case for the reality of the UFO phenomenon in all its varied manifestations. I recommend this book to all hardline skeptics but they will probably not read this tome as they have already decided reality from their materialist/reductionist maps. The empirical data documented by Clas Svahn makes a skeptical position untenable - logically, scientifically and intellectually. 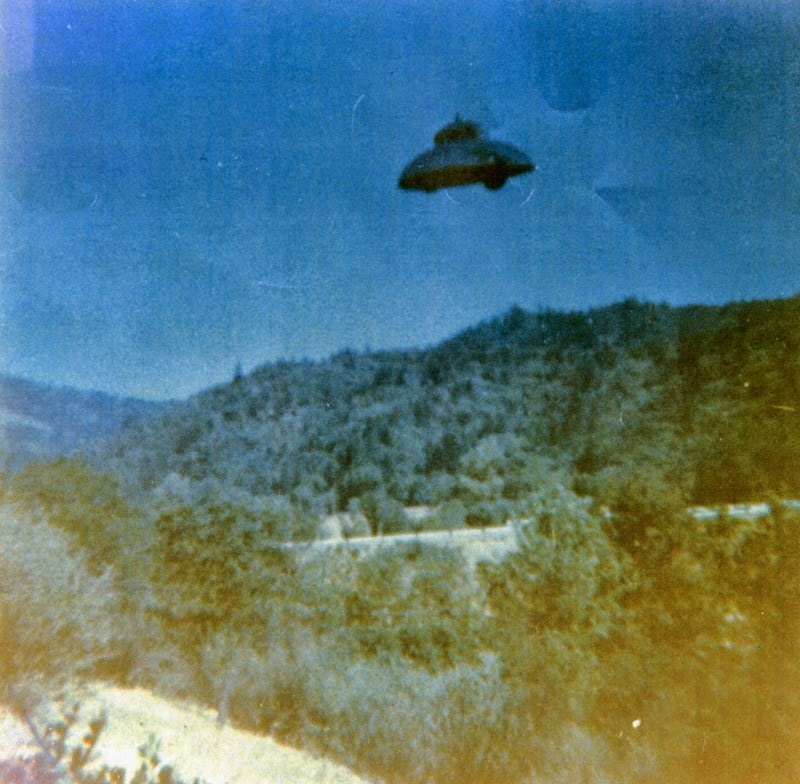 The UFO phenomenon should be addressed by the best minds in science and investigative journalism. But it takes a scientific and cultural heretic to enter this domain of forbidden science. Besides being a distinguished journalist at the largest Swedish daily, Dagens Nyheter, Clas Svahn is a prolific writer with many titles of great interest coming from his pen. A real classic is his profound study of the famous Swedish close encouters witness and contactee Mr. Gösta Carlsson: Mötet i gläntan. 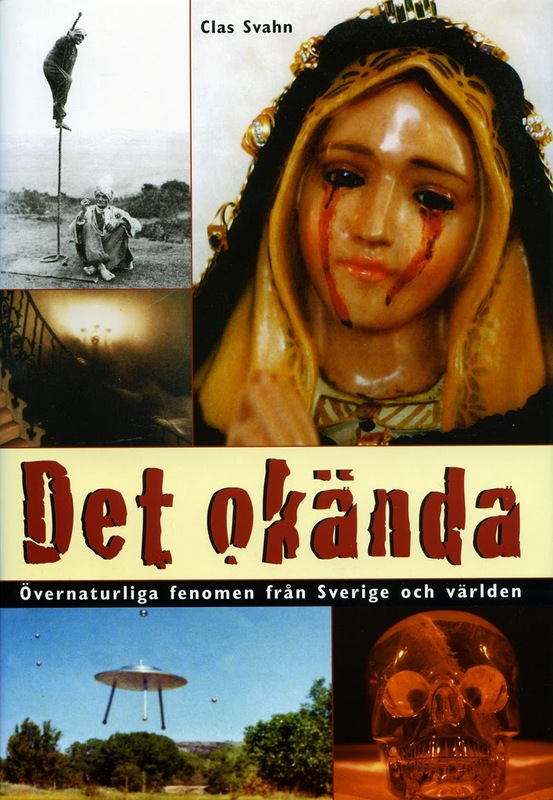 Sveriges mest kända närkontakt med UFO (2000) (Encounter in the Glade. The Most Famous Swedish UFO Contact). The book is now very hard to come by, even from antiquarian booksellers. 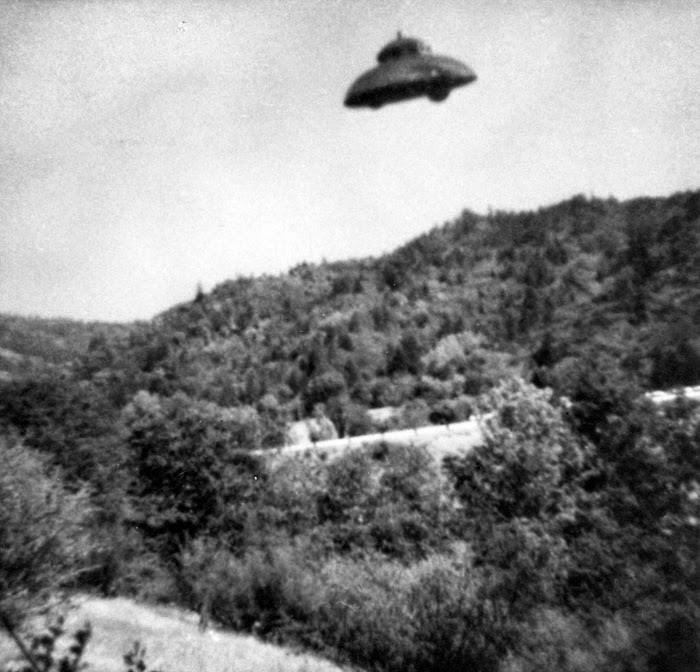 Clas spent many years investigating this most complicated UFO case and it is a masterpiece of investigative journalism. Very popular has been his trilogy: Det okända, Berättelser om det okända samt Möten med det okända (The Unknown, Stories of the Unknown, Meetings with the Unknown). A mixture of UFO, Fortean and paranormal experiences. 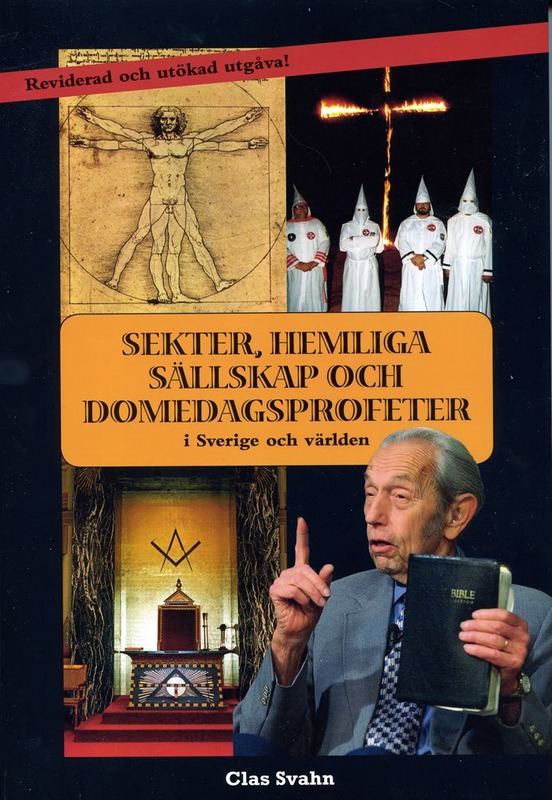 Sekter, hemliga sällskap och domedagsprofeter (2012) (Sects, Secret Societies and Domesday Prophets) is a 477 page documentation of weird and destructive cults from Sweden and all over the world. A book that rendered him some threats from one of these not very nice groups. 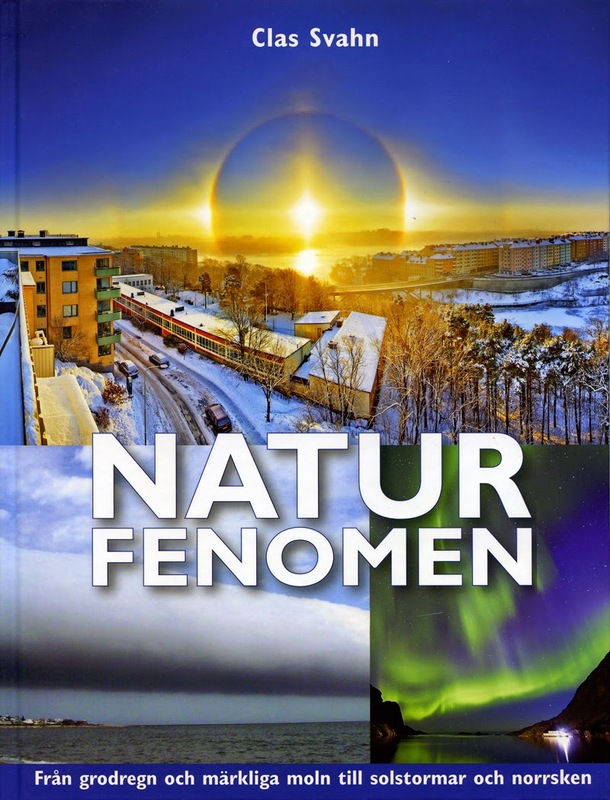 A book of rare beauty is Naturfenomen (2011) (Phenomena in Nature) giving the reader an awesome estetic experience with many photographs of unusual phenomena in nature.And in 2013 Clas published his study of strange coincidences: Osannolikt. Märkliga möten och fantastiska sammanträffanden (Improbable. Intriguing Encounters and Fantastic Coincidences). 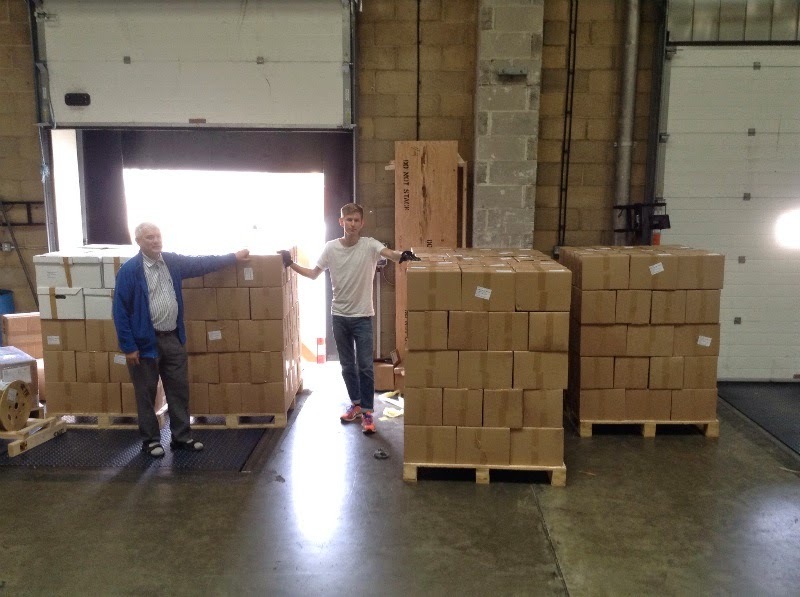 Last week Clas Svahn, together with his son Niklas and Carl-Anton Mattsson visited England to once again fetch books, magazines, correspondence etc donated to AFU by British ufologists and Forteans. Soon a lorry from Schenker will arrive at AFU headquarters with 240 boxes of documents of all kinds. AFU has now expanded to eleven premises but with the enormous amount of material coming in from all over the world we still need more space. 23 people are now working at AFU in various functions and projects. Quo vadis AFU? One of the largest UFO contactee organizations in the 1950s and 60s was Understanding, Inc. founded by Daniel W. Fry in 1955. From a modest beginning with nine members in El Monte, California the organization grew to more than 70 local units in the United States and many members throughout the world. 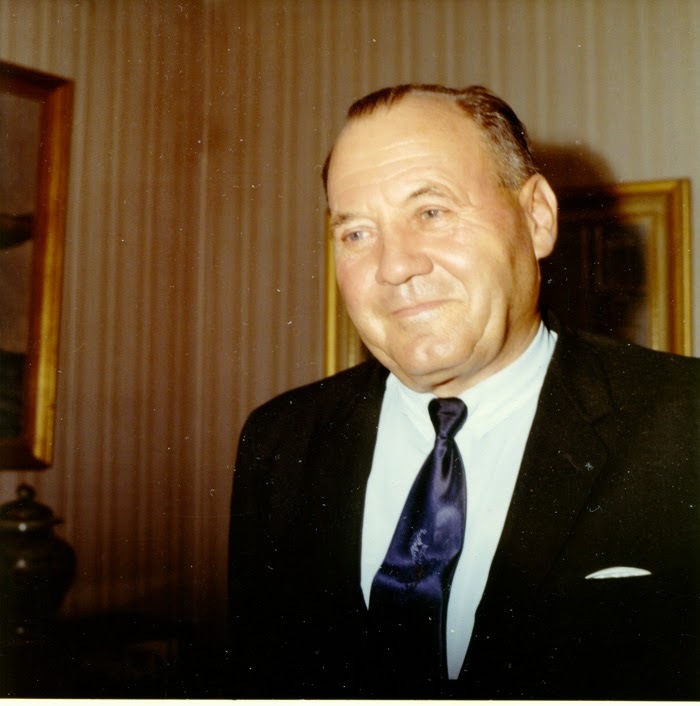 Recently AFU received a donation of old documents from the only European Understanding Unit, founded in Sweden 1963 by Sven-Erik and Ing-Marie Asklund, then living i Bandhagen, south of Stockholm. This event was proudly announced in the magazine Understanding, June 1963. On February 12, 2012 I interviewed Sven-Erik Asklund by phone to get some more historical data on this group. They were some twenty members who gathered at the Asklund home in 1963-64. For some time they worked hard trying to initiate more Understanding Units in Sweden, without success. 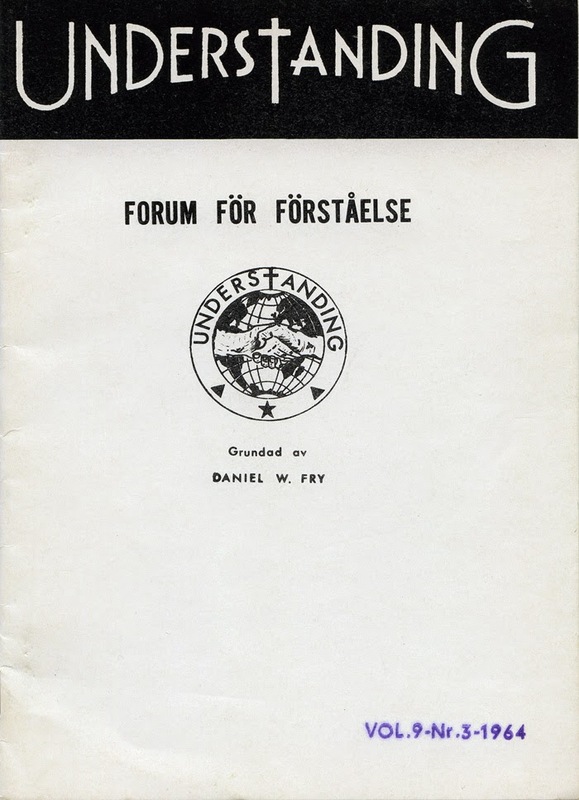 Publicly they did an attempt to publish a Swedish edition of Understanding magazine, but it folded after three issues. When the Asklund couple moved to Småland in the south of Sweden in December 1964 the Understanding Unit was discontinued. Unfortunately the Swedish Unit archive, including all correspondence, was lost in connection with a burglary. 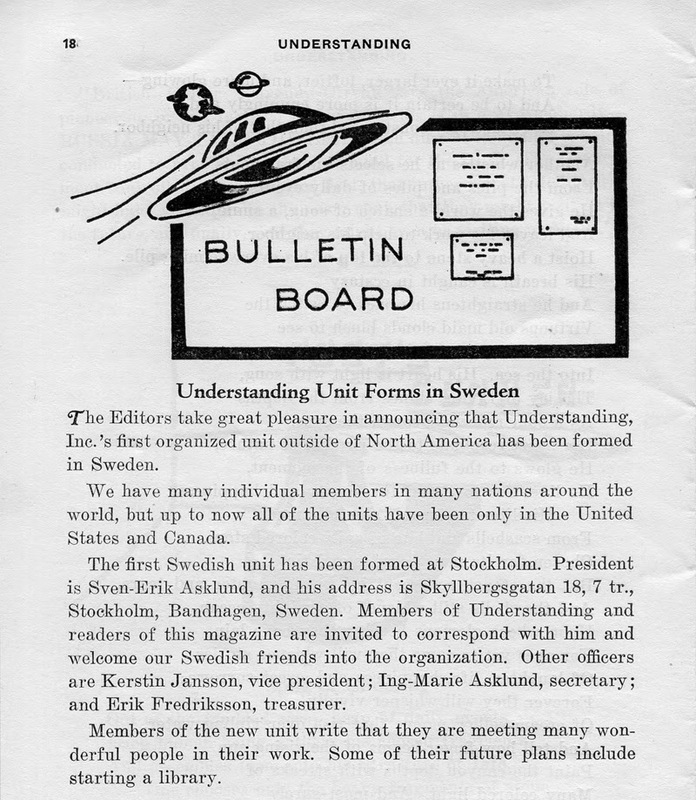 The few documents now at AFU have been donated by Swedish ufologists who were members of the group: Erik Fredriksson, Karl-Erik Nordquist, Bertil Kuhlemann, Brage Jansson. Daniel Fry and his organization Understanding is still waiting for a biographical study. Sean Donovan in Canada, who rescued most of the Daniel Fry archive in 2003, is working on a biography. So far he has done an excellent job with the Daniel Fry website, where a mass of interesting historical data can be found, including all the issues of Understanding magazine. According to Sean there were very few Understanding Units outside the U.S. There was one in Canada och one in Puerto Rico. So the Swedish Unit most be regarded as rather unique. The "officers list" from September 1963, preserved at AFU, contains 60 Understanding Units, but 74 units are mentioned in later documents. An interesting question is how come that such a large and successful organization disbanded? There ought to have been many regional directors able to continue the work. From a Swedish viewpoint there were in practice two Understanding Units. The publishing company Parthenon, founded in 1957 by the new age activist Miss Edith Nicolaisen, was regarded as a unit but not formally announced as such in the international officers list. 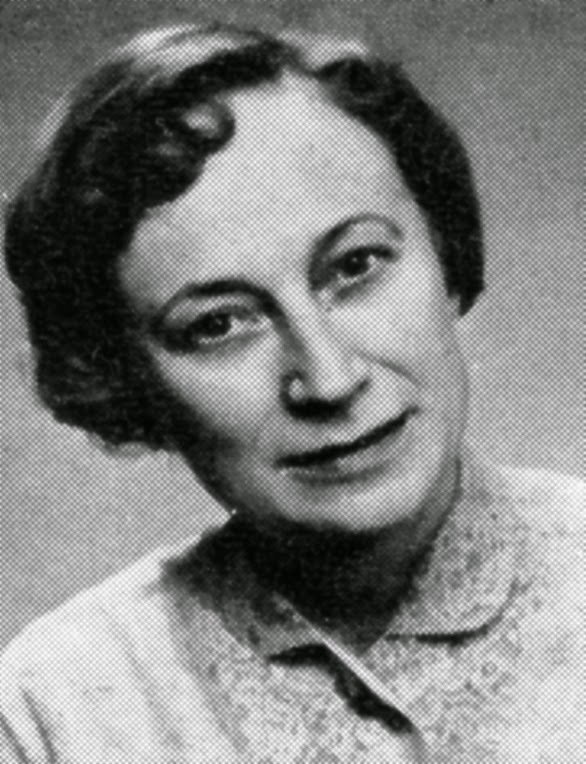 Edith Nicolaisen was one of the organizers of Daniel Fry´s European lecture tour in 1970. He was invited by the Swedish couple Gita och Douglas Keiller living at Särö in the Swedish archipelago south of Gothenburg. The Keiller couple sponsored Fry´s tour by paying his travel expenses. The Keiller home, Gövik, was for several years a sort of new-age center with guests from all over the world. 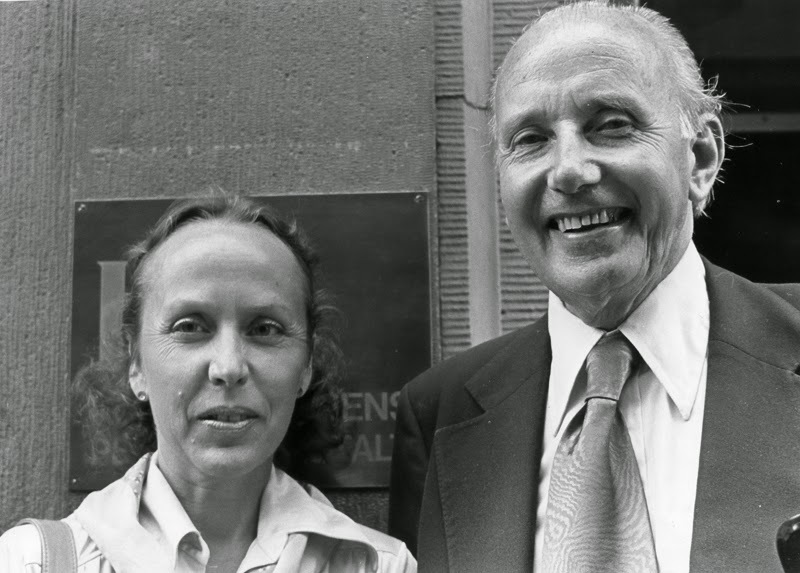 In 1975 Gita and Douglas Keiller founded the Peace Through Unity Trust together with Anthony Brooke. When Douglas Keiller became a supporter of the I Am movement, the sad right-wing travesty of the Esoteric Tradition, Gita separated and left Särö. She married Anthony Brooke in 1982. "Immediately after the Berlin lecture, we returned to Govik, in Sweden, where we spent several busy days preparing for the next stage of our pilgrimage. This began on Sept. 3rd when we departed for Halsingborg, in South Western Sweden, for a series of lectures sponsored by our friend Edith Nicolaisen. (As most of our readers know, Edith is the able and energetic leader of the first unit of Understanding in Sweden.) She had visited us in Merlin a few weeks before our departure for Europe, and we had become well acquainted. Her work centers principally around youth groups, with a series of instructional and inspirational programs, designed to prepare them for the many critical problems which they will inevitably face during the coming years. Having checked into our rooms at the Hotell Vingarten, we visited Edith at her home, and arrived just in time for tea. (Edith’s hospitality is so flexible that, regardless of the hour at which visitors arrive, they are always ‘just in time for tea’.’) (Understanding, vol. 16, no. 11, November 1971). 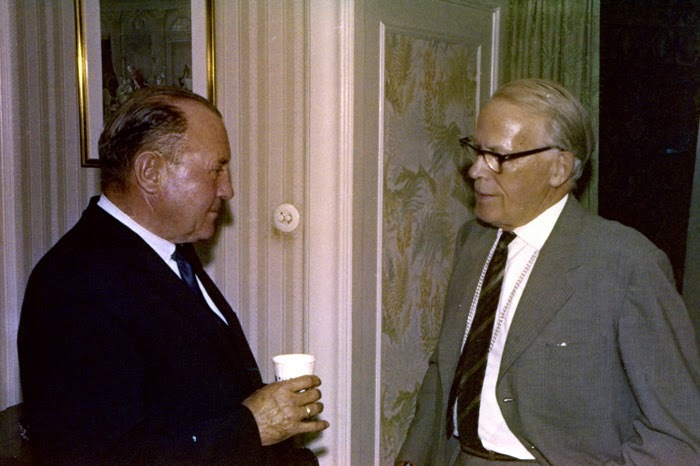 In Sweden he met a rather skeptical public, among them Swedish ufologist and APRO representative K. Gösta Rehn. To the Swedish journalists Fry told of his trip in a flying saucer and his meeting with the supposed spaceman named Alan. He is described as a middle aged man, with blue eyes and brown hair. Alan had an American passport obtained by Fry and he was at that time stationed in Kairo, officially as a businessman but actually trying to work out a solution to the Middle East problem. According to Fry, Alan has an unusual bloodtype. Alan is the man that inspired Daniel Fry to found the Understanding movement "dedicated to the propagation of a better understanding among all the peoples of the earth, and of those who are not of earth." In several blog entries I have suggested the esoteric intervention theory (Jacques Vallee) as an explanation for some of the first generation physical contactees in the U.S.: Orfeo Angelucci, George Adamski, George Van Tassel. Daniel Fry and Howard Menger. This is also the basic theory presented in my latest book Gudarna återvänder. Ufo och den esoteriska traditionen (Return of the Gods. UFOs and the Esoteric Tradition). Data from a wide variety of sources indicate that some of the first generation physical contactees were involved in a test orchestrated by a secret group (esoteric lodge) with access to Vimana technology, possibly in co-operation with real extraterrestrials. The object of this group was to prevent total destruction of the earth by nuclear war and use a somewhat novel method of presenting the Ancient Wisdom in a popular version introducing a new form of "phenomena" - UFOs. The test was only partially sucessful as many of the ordinary people contacted could not stand the strain of the contact. An interesting indication that this was a test by a secret group are the experiences of journalist and esotericist Paul M. Vest who was obviously contacted by a "middle man" and asked to help in this endeavour. Anyone acquainted with the esoteric tradition as presented by Helena P. Blavatsky, Charles Leadbeater, Alice Bailey and Henry T. Laurency will recognize the esoteric philosophy in the books by Adamski, Fry, Angelucci, Menger and Van Tassel. 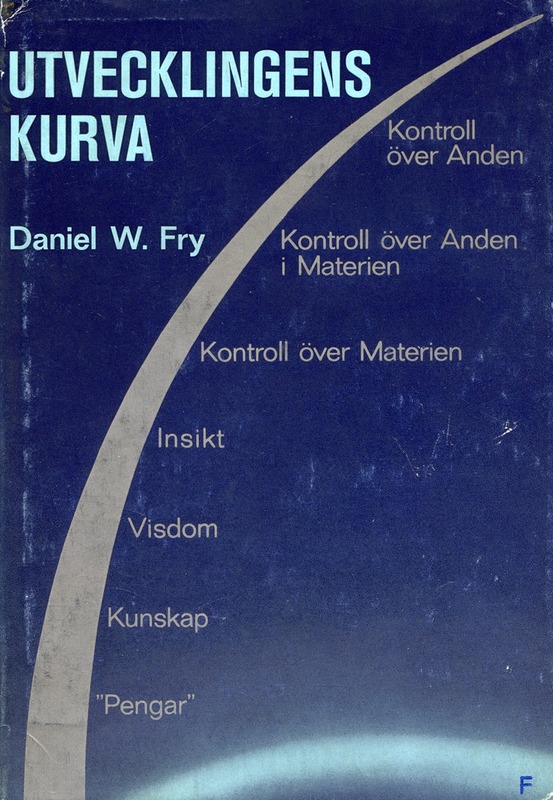 Daniel Fry´s The Curve of Development is a good example of a simplified version of the evolution of consciousness in line with esoteric philosophy. Religious scholar Joscelyn Godwin has suggested that there was a "hidden hand" behind the spiritist phenomena in the 19th century, a secret group with the aim of changing the culture of the West. This is also stated as a fact by the Tibetan in the Alice Bailey books: "It is interesting to note that this movement (modern spiritualism) was started by a secret society which has existed in the world since the last period of seventh ray dominance in Atlantean times." (Alice Bailey, Esoteric Psychology, vol 1, 1970 clothbound ed., p.166-167). I suggest the possibility that this secret society or lodge was also behind some of the first generation UFO contacts as part of what in esoteric philosophy is named The Externalization of the Hierarchy or the return of the planetary guardians. 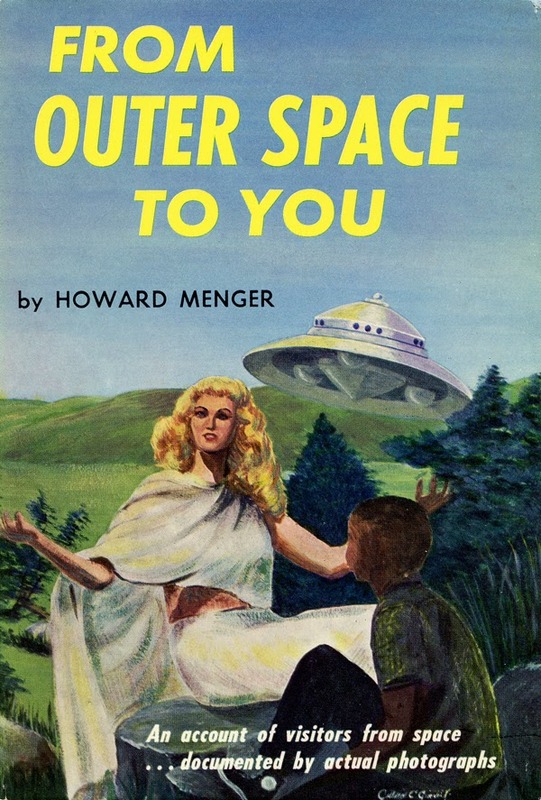 A part of this program may also have been help by extraterrestrial intervention. This is of course a conspiracy theory but different from what is ordinarily presented in this genre, as it is a benevolent conspiracy. "Let us assume that there is on this planet a group of scientifically minded and spiritually dedicated men and women who are working to accomplish this great task. And, let us further assume that they have already established contacts with equally dedicated people of other planets. To continue their work and remain effective, they must of necessity remain behind the scenes. However, they can, in the interest of humanity in general, send out hints as to what will take place in the near future. Perhaps they send out scouts to make personal contacts for the specific reason of determining the reactions of every-day people. Perhaps it is done as a "smoke screen" to temporarily keep secret the real work which is going on until such time that the people are prepared to meet this new era with many changes it will bring...Then there are the personal contact stories, some of which are authentic, and which have been established for study purposes and for keeping alive a story which must eventually be brought before all people. If given in small doses, the general acceptance will be made over a period of time, and will take place almost naturally."